Qatar Airways is one of the youngest and fastest growing airlines in the world. 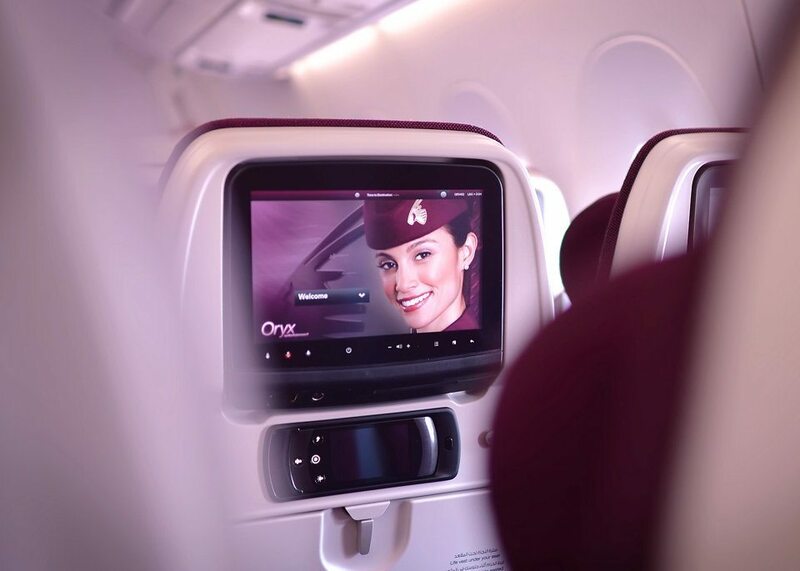 Qatar Airways nows flies to over 150 destinations across six continents in one of the youngest fleets in the sky. Qatar Airways has six daily departures from London Heathrow, twice daily from Manchester, daily from Edinburgh and Birmingham and from 01 May 2018 Cardiff. Qatar Airways also flies from Dublin in Ireland. Discover a new standard of comfort with Qsuite. You will experience complete privacy, ambient mood lighting, extensive entertainment options, fully lie-flat beds, delectable cuisine and exclusive service. 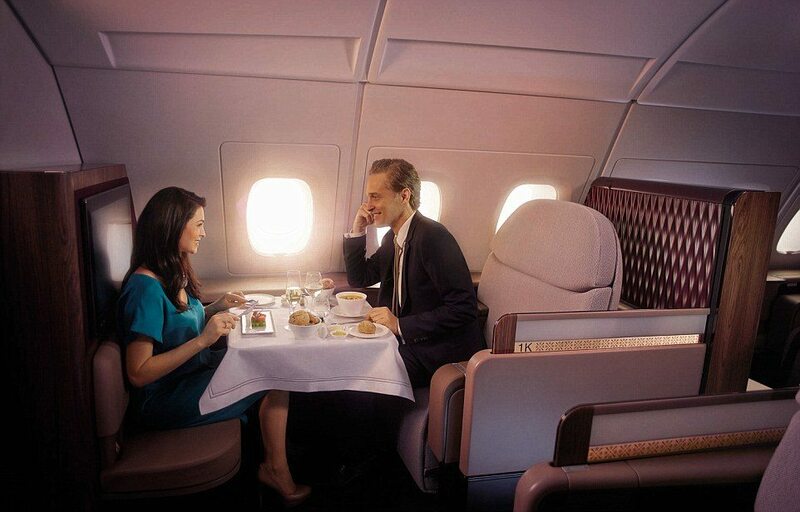 Settle into your seat and enjoy unparalleled comfort and complete privacy. 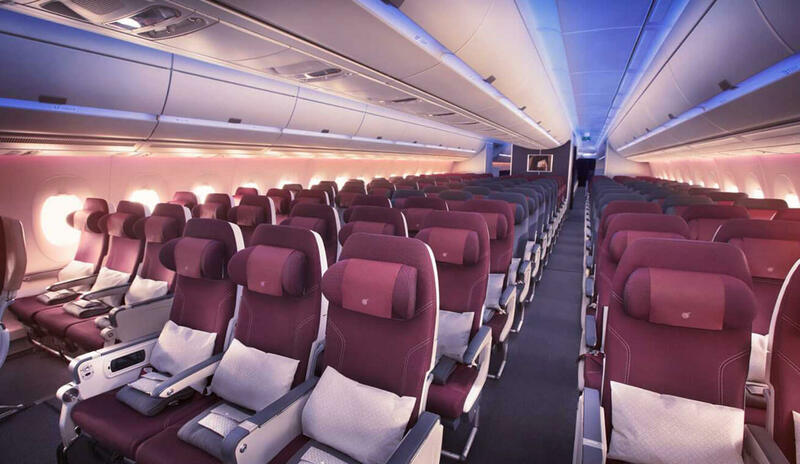 Qatar Airways spacious First Class is designed for you to feel well-rested and refreshed throughout your journey. You will be provided with ample stowage options and an ultra-comfortable fully lie-flat bed with Frette linen and a duvet. Qatar Airways inflight entertainment, Oryx One brings you the biggest blockbuster movies & highest rated TV shows every month. 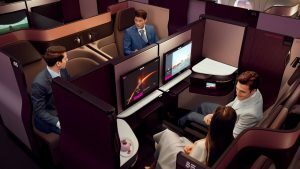 Qatar Airways audio-video on-demand service allows you to choose up to 3,000 entertainment options – Movies, TV Box Sets, Audio, Games and much more.